For 19 years, Chaplain Anderson served as a U.S. Navy chaplain. His last assignment before retirement was as the Deputy Chaplain for Joint Forces Headquarters-National Capitol Region at Fort McNair in Washington, D.C. His portfolio includes Joint Plans and Operations for Religious Support for ceremonies and circumstances that might overwhelm the capacity of civil authorities. 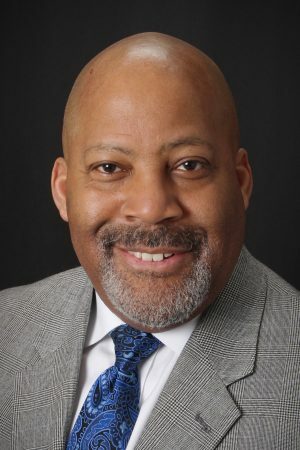 He also served as the Chief of the Department of Pastoral Care and Clinical Ethicist at the Fort Belvoir Community Hospital on Fort Belvoir. Prior to his Naval career, Chaplain Anderson pastored in the Allegheny East and Potomac Conferences of Seventh-day Adventists. As a pastor Anderson experienced success in guiding families to wholeness through worship, counseling, and mentoring. He introduced transformation and reclamation ministries to the churches and communities where he served. Anderson planted the Rehoboth church in Reading, Pennsylvania and oversaw various church building renovations in Pottstown and Philadelphia. He was an Associate Pastor at the Sligo Seventh-day Adventist Church in Takoma Park, Maryland and the Senior Pastor at the Seabrook Seventh-day Adventist Church, Lanham, Maryland. Visioning, leadership, and team development characterize his ministry. Chaplain Anderson completed his undergraduate work in Theology at Columbia Union College (WAU) in Takoma Park, Maryland. He has earned four graduate degrees–a Master of Divinity from Andrews University in Berrien Springs, Michigan, a Master of Education in Counseling and Personnel Services from the University of Maryland in College Park, Maryland and a Masters of Sacred Theology in Religion and Culture from Boston University. His Doctor of Ministry degree was conferred by Wesley Theological Seminary in Washington, D.C.
Anderson also holds certifications in Suicide Awareness and Prevention, Civil Mediation, Alternative Workplace Dispute Resolution, Temperament Analysis, Marriage Enrichment, Workforce Diversity and is a certified Life Coach. Chaplain Cork joined the ACM staff as Assistant Director serving the Great Plains region (Mid-America and Southwestern Unions) on September 1, 2014. He is a chaplain in the U.S. Army Reserve, and was deployed in 2013 to Kuwait in support of Operation Enduring Freedom. In addition to fifteen years in the Army Reserve and National Guard, he has 11 years experience in public campus ministry. From 2007 through 2012 he was a pastor in the Texas Conference. He is also a member of the NAD advisory on public campus ministry. He graduated from Atlantic Union College, began graduate study in church history at Loma Linda, and received his M.A. in church history and his M.Div. from the Lutheran Theological Seminary at Gettysburg. He and his wife, Joy, live in Houston, TX, and have two young adult children. Chaplain Washington Johnson joined Adventist Chaplaincy Ministries in December, 2013. As a United States Navy Reserve chaplain, Captain Johnson was deployed to Djibouti, Africa. During his deployment Johnson served as Deputy Command Chaplain and Senior Protestant Chaplain for approximately 3,500 service personnel at Camp Lemonnier, the only permanent U.S. military base on the African continent. Dr. Johnson formerly served as editor-in-chief of Message Magazine and as a pastor in South Central and Northern California Conferences. He is a graduate of Oakwood University (B.A. ), the Seventh-day Adventist Theological Seminary at Andrews University (M.Div. ), and Reformed Theological Seminary (D.Min.). Chaplain Ivan Omaña joined Adventist Chaplaincy Ministries in 2015. Prior to ACM, Chaplain Omaña was senior chaplain at Florida Hospital Kissimmee, where he served full-time since 2002. His previous experience also included work at Florida Hospital and the Chaplain Adventist Care Centers. Omaña’s 10 years of pastoral experience were in Venezuela. Omaña is a board-certified pastoral counselor and a board-certified chaplain through Adventist Chaplaincy Institute and the Association of Professional Chaplains. He holds a Master of Divinity degree from Florida Center for Theological Studies. He is currently a Doctor of Ministry candidate at Denver Theological Seminary. 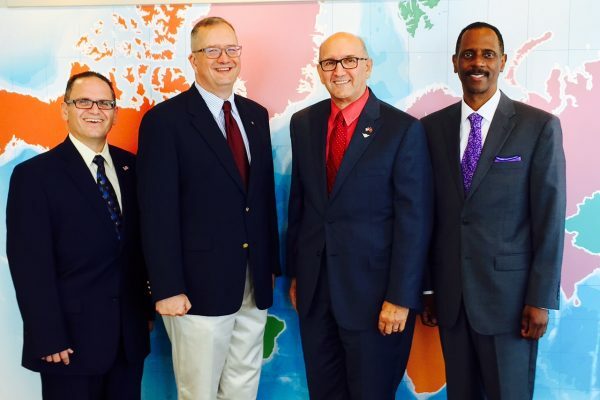 He is also the president of the Seventh-day Adventist Health Care Chaplains Association. Omaña completed internships in Clinical Pastoral Education and in Clinical Pastoral Education Supervision at Florida Hospital. He is also certified in Acute Stress, Grief, and Trauma Intervention by the American Association of Christian Counselors. Omaña holds memberships in the Association of Professional Chaplains, the American Association of Christian Counselors, the Association of Clinical Pastoral Education, and is endorsed by Adventist Chaplaincy Ministries. Bartel-Wagner believes everyone has a story to tell. Helping others to find the voice for their story is one of the best parts of her job. 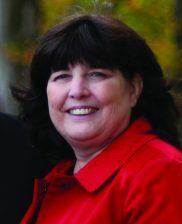 Bartel-Wagner brings an extensive background in communications and journalism. Her clients have included World Health Organization Regional Office in Brazzaville, Congo, the National Voluntary Agencies Active in Disaster, Adventist Risk Management, Adventist Disaster Response, and others. She is married to Dr. Gary Wagner. They are the parents of three young adults, one daughter-in-law, and grandparents of three granddaughters. Dina Guzman-Muldoon has worked at General Conference Headquarters since 1989. She began at ACM in October 2006. Dina is bi-lingual (English and Spanish). She provides support for community, corrections, and military chaplains. Her responsiblities also include the distribution of resources to support military members with Bible kits, devotionals, religious materials, and outreach literature.